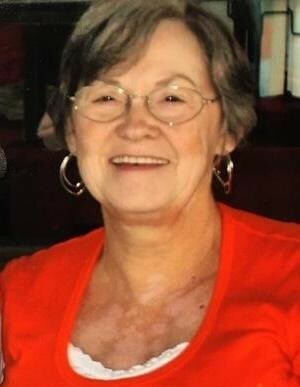 Thelma Jean Byrd McRae, 72, of Biscoe, passed away on Sunday, February 3, 2019 at Autumn Care. A funeral service will be held at 2:00 p.m. Saturday, February 9, 2019 at the First Baptist Church Chapel in Troy officiated by Speaker, Allen Hurley. Burial will follow at Biscoe Cemetery. Visitation will be held one hour prior to the service at the church and other times, the family will meet at the home of her daughter, Nicole McRae Hurley, 818 Oakwood Acres Road, Asheboro, NC 27205. Born July 23, 1946 in Montgomery County, she was a daughter of the late James Albert and Thelma Williams Byrd. She graduated in 1964 from West Montgomery High School. She married the love of her life, Terry McRae, at Stony Fork Baptist Church, Pee Dee, NC on July 18, 1965 and was married for 46 years. She worked at Troy Lumber, Mt. Gilead Textiles, Russell Harvell Hosiery Mill, First Bank at Montgomery Square and St. Joseph’s of the Pines. Thelma was co-owner with her husband, Terry, of Kountry Kids Learning Center in Biscoe from 1996 until 2007. This is where she became another “Nana” to so many children and another “Mama” to the staff that she dearly loved. She lived in Wadeville for 65 years and then moved to Asheboro until 2018 when she moved to Autumn Care of Biscoe. Her hobbies included shopping, spending time with her family, having family dinners and cook outs, playing games with her grandchildren, reminiscing about family history with her sister, Roxanne, and reading her Bible, and going to the beach. She was a member of Wadeville Baptist Church in Wadeville and The Intercontinental Church of God in High Point, NC. She is survived by her daughter, Nicole McRae Hurley and her husband, Allen of Asheboro; her sister, Roxanne Byrd Scott and her husband Richard of Wadeville; her brothers, Albert Ray Byrd and his wife Janice of Pleasant Garden, NC, and Johnny “Leo” Byrd and his wife, Sue of Pilot Rock, OR; brothers-in-law, Harry McRae and his wife Debbie, Mikie McRae and his wife Martha and Mark McRae and his wife Jennifer, all of Troy; grandchildren, May Hurley Reeder and her husband Colton, Keely Cleaveland, Justine “Teeney” Hurley, Colin Cleaveland and Jake Cleaveland; son-in-law, Butch Cleaveland; “Hand Picked” grandson, Matthew Kiser; great grand-god-daughter, Brinnley Dunn; granddog, Sir Winston Reginald Hurley; numerous nieces, nephews, great nieces and great nephews that she dearly loved; and special lifelong friend, Martha Cole Lefler. She is preceded in death by her husband, Terry McRae, daughter, Michelle McRae Cleaveland, mother and father-in law, Philip and Frances Lassiter McRae, brother-in-law, PJ McRae, and nephew, Kenneth McRae. In lieu of flowers, donations may be made to Autumn Care, 401 Lambert Street, Biscoe, NC 27209 or Randolph County Hospice, 416 Vision Drive, Asheboro, NC 27203.